Visit Rampart Casino for great Las Vegas deals! 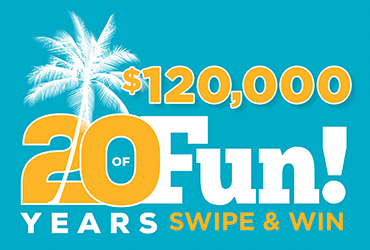 Rampart Rewards players who earn 10 points on March 28, 29, and 30 between 8 am and midnight can swipe at the kiosk to win cash, free slot play, free bets, points and more! For all our casino promotions and deals, please explore our website.